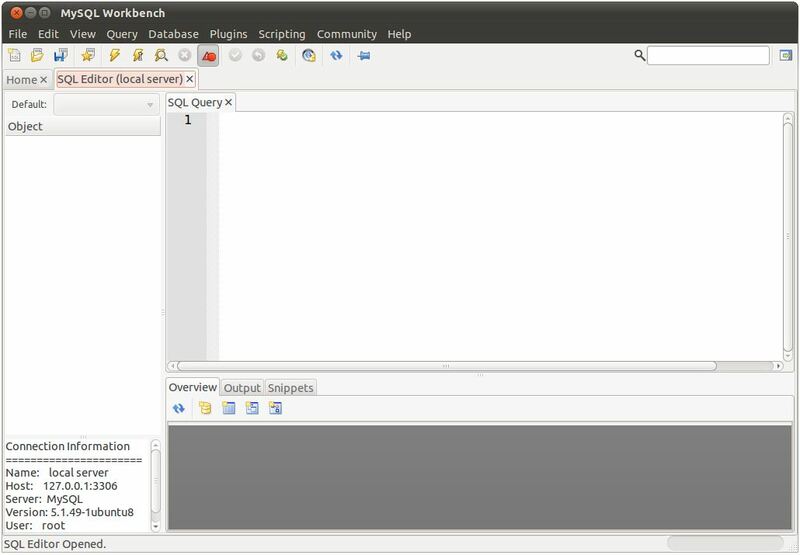 As outlined in the previous chapter, the MySQL Workbench tool fulfills a number of different roles in terms of presenting a user friendly graphical interface to the MySQL database management system. One of those roles involves the creation and execution of SQL statements and scripts. The goal of this chapter is to cover this aspect of the workbench tool. 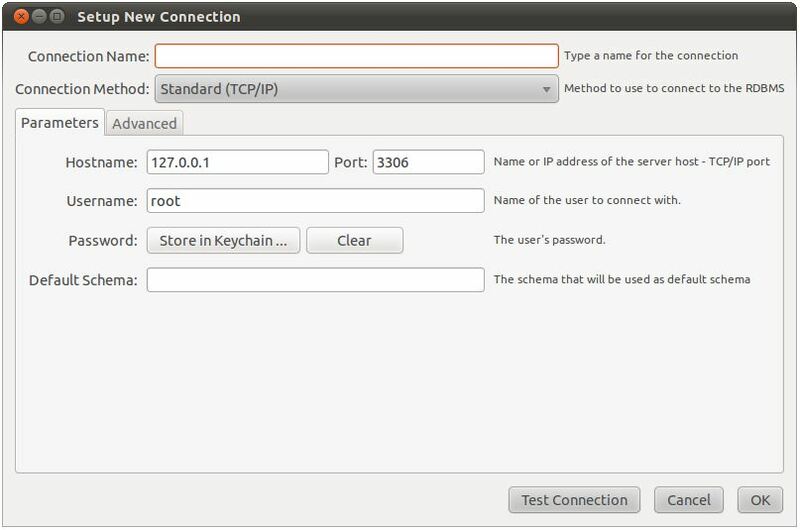 To connect to the server, simply double click on the connection and enter the password for the specified user. It is possible to return to the workbench home screen at any time simply by selecting the Home tab. 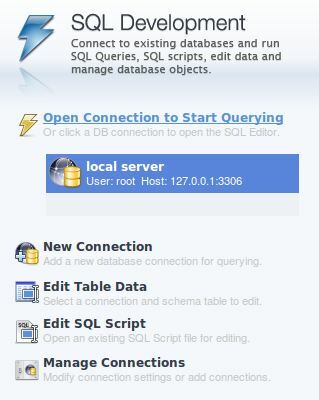 Multiple SQL Editor sessions to multiple servers may be established from the home screen, each with its own tab located beneath the toolbar. 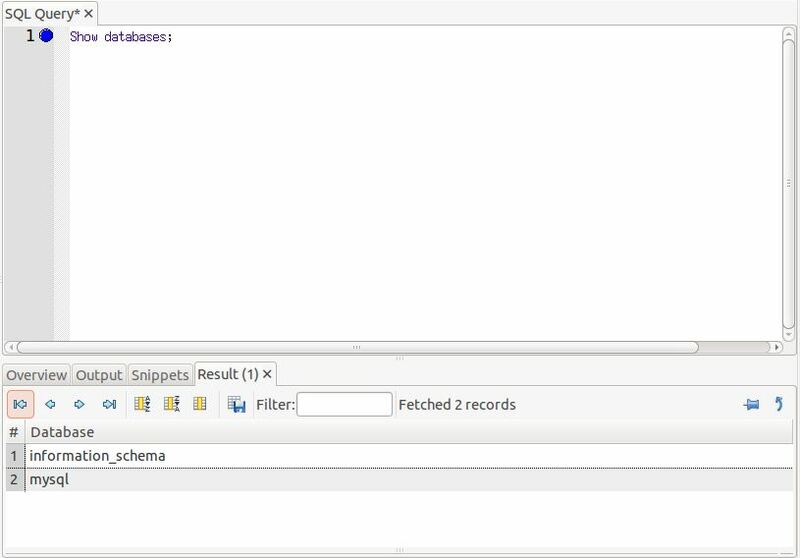 The SQL Query panel allows SQL commands to be entered. These may then be executed using the buttons in the toolbar displaying lightning bolts. The leftmost “lightning” button is provided to execute the entire script contained within the SQL Query panel, whilst the second button executes only the currently selected statement. The sequence of SQL statements entered into the SQL Query panel may be saved in the form of a script by selecting the File -> Save Script menu option or clicking on the corresponding toolbar button. Saved scripts may similarly be loaded into the SQL Editor using the File -> Open SQL Script… menu option or the Open a SQL Script toolbar button.